If you’re not well rested, can you really expect to be at your best? Sleeplessness caused by a busy mind and repetitive thoughts is a common consequence of stress. 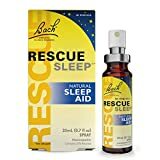 RESCUE SLEEP SPRAY calms your restless mind and puts your sleeplessness to bed.